Reckless Driving | Chicago Reckless Driving Lawyer The Davis Law Group, P.C. Contact Cook County, Illinois Traffic Ticket Lawyer The Davis Law Group, P.C. 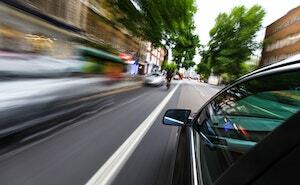 Under Illinois law, 625 ILCS 5/11-503 defines reckless driving as operating a motor vehicle with “willful or wanton disregard for the safety of persons or property” or “knowingly driv[ing] a vehicle and us[ing] an incline . . . caus[ing] the vehicle to become airborne.” The offense of reckless driving is usually charged as a Class A misdemeanor, punishable by up to 365 days in jail and a $2,500.00 fine. Because reckless driving is a Class A misdemeanor, you may be arrested rather than given a citation, at the police officer’s discretion. Aggravated reckless driving, a felony, is charged when bodily harm, great bodily harm, disfigurement or permanent disability to another results. Aggravated reckless driving may be charged as a Class 4 felony (punishable by 1 to 3 years in prison) or as a Class 3 felony (2 to 5 years in prison) and up to $25,000 in fines depending on the facts and circumstances of the offense. A disposition of court supervision on a reckless driving charge (including those reduced from DUI) will prevent a disposition of court supervision on any subsequent DUI. Similarly, this will prevent a second DUI offense from being reduced to reckless driving in order to avoid a license revocation. There is a great deal of misunderstanding surrounding the advantages and disadvantages of having a DUI reduced to reckless driving. The pros and cons must be evaluated on a case-by-case basis. If you have been charged with reckless driving, it is important to have an experienced defense attorney represent you in court. Our firm has handled hundreds of reckless driving cases throughout Illinois including Cook, Lake and DuPage Counties. Every case is unique and requires special attention. Our attorneys provide professional and knowledgeable legal representation. If you have been charged with reckless driving, contact The Davis Law Group, P.C. to discuss your case.